The Seattle Police Pipes & Drums was established in January of 2011 following the line-of-duty death of Seattle Police Officer Timothy Brenton, who was killed on October 31st, 2009. The famous Seattle Firefighters Pipes & Drums performed during Officer Brenton’s funeral and did so with tremendous class and honor, which Tim and his family so deserved. 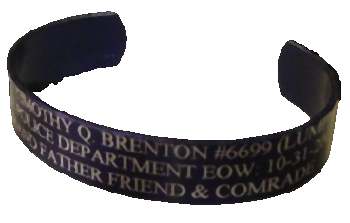 From the tragic loss of Officer Brenton came the inspiration to establish our own police pipe band. Having our own police pipes and drums band allows us to honor our own officers the same way the firefighters have graciously done for so many years. The call for members went out and the response was overwhelming as over seventy Seattle Police Officers initially answered that call and joined the band. Today we have over 35 active members. In addition to honoring the memory of those who have served in law enforcement, the Seattle Police Pipes & Drums is dedicated to strengthening and maintaining a positive relationship with the citizens of Seattle and surrounding communities through performance and community outreach. Although the Seattle Police Pipes & Drums has the full support of the Seattle Police Department, we are a separate entity; self funded and independently managed. Any support from our fellow officers, businesses and the community are always welcome and appreciated and we would be honored if you would consider supporting the Seattle Police Pipes & Drums. We take our mission statement seriously and are honored to be able to represent our fallen officers, our department, and the community in such a capacity. The Seattle Police Pipes and Drums will honor the memory of those in law enforcement who have gone before us especially those who have given their lives upholding the law. The Seattle Police Pipes and Drums will be dedicated to strengthening and maintaining a positive relationship with the citizens of Seattle through performances and community outreach and will be dedicated to answering any call to perform by the Seattle Police Department. - © 2012 Seattle Police Pipes & Drums - All rights reserved.